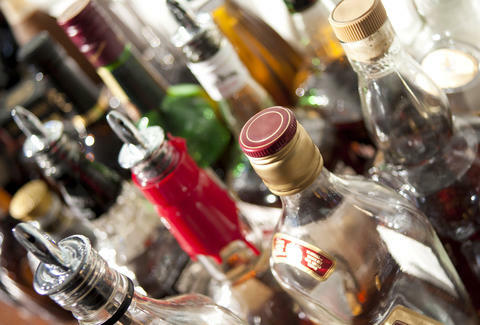 Booze runs, one of America's greatest pastimes, may soon be a thing of the past. Following a sudsy wave of new booze-on-demand delivery apps, Amazon announced Tuesday it will effectively end the need to present yourself in public to obtain alcohol, by delivering it right to your damn door -- in an hour or less. The dangerously -- dare we say delightfully -- convenient booze comes as part of the company's new "Prime Now" service for Amazon Prime members, which is now available from 8am to midnight in the Seattle area. Two-hour delivery is free, and one-hour delivery will set you back an extra $7.99. Specifically, "[r]esidents of Seattle, Bellevue, Redmond and Kirkland can now get one-hour delivery on tens of thousands of items like paper towels, wine, beer, chilled and frozen items like milk and ice cream, televisions and Kindle devices,” the online retail giant said in a press release. But that's just for now. Amazon has already said it will evaluate the response to the service and potentially expand it to additional areas, according to a report by BuzzFeed News. In other words, you might as well say goodbye to your friends and family because they'll probably never see you emerge from your booze-filled Kindle reading den made from crusty pizza boxes and old ice cream cartons. Tony Merevick is Cities News Editor at Thrillist and once helped construct an igloo out of empty milk jugs for a grade school project and is uniquely poised for hermit den architectural greatness. Send news tips to news@thrillist.com and follow him on Twitter @tonymerevick.